A few minutes from the main village of Oneroa. Enjoy big views and all the action at sea from this spacious holiday home perched above Hekerua Bay. With plenty of room for the whole family and in a great central location to explore the island, Highview is an ideal accommodation choice for up to 6 guests. The lovely bright living area offers plenty of comfortable seating and includes SKY movies and sports & Chromecast for added entertainment. The kitchen is well equipped with room for a few chefs and there is a north facing deck with outdoor seating, large umbrella and a gas BBQ accessed off the lounge. The master bedroom enjoys stunning sunrise views and is located on the upper level with the two additional bedrooms and bathroom on the lower level. A fourth sleeping area with a queen bed is just outside the master bedroom. The master bedroom and open plan living area have airconditioning. 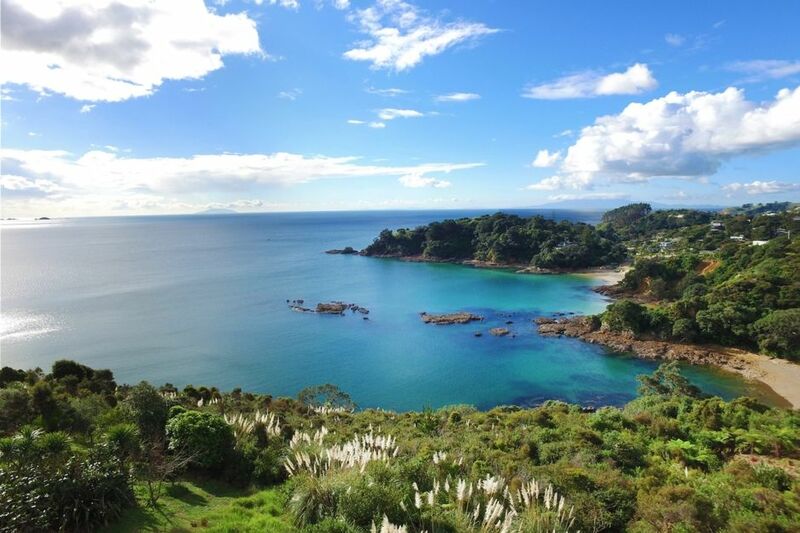 Highview is located a few minutes drive to Oneroa village, award winning vineyards and restaurants including Mudbrick and Cable Bay as well as the stunning white sands of Palm Beach. The supermarket, iconic Saturday farmers market, ferries, local cafes and shopping are all within a 5 to 10 minute drive. Coastal access is possible via a formed track passing through native bush. The final section is a seriesof switchbackson a steep slope not suitable for young children. A vehicle is available for hire with this property. Please enquire for rates and availability. Awesome location, views are amazing! Awesome location, views are amazing! Had everything we needed and a plenty of space for a family stay.